BMW on Wednesday unveiled a new generation of its 5-Series. Just two powertrain options have been announced for the United States, though neither of these will be a V-8. That doesn’t mean the new 5-Series will be without V-8 power. There will be a handful, in fact. 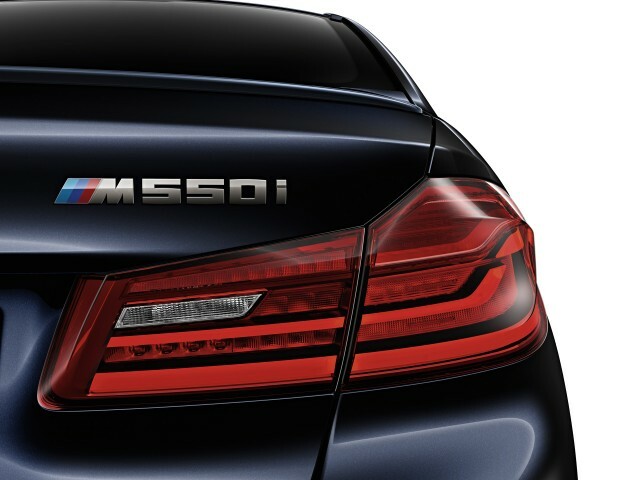 The first that we know about is an M550i xDrive. This is one of BMW’s M Performance models and it’s set for launch in March 2017. Unfortunately, the car is yet to be confirmed for the U.S. The M550i xDrive features BMW’s familiar twin-turbocharged 4.4-liter V-8, delivering 455 horsepower and 480 pound-feet of torque. Those are the same numbers the engine produces in the outgoing 5-Series’ 550i and 550i xDrive models. Thanks to the standard 8-speed automatic transmission and all-wheel-drive system, acceleration is brisk, with BMW quoting a 0-62 mph time of just 4.0 seconds. Later, we’ll see at least two more V-8-powered 5-Series models. One will be a new M5 from BMW M and another will be a new B5 from semi-official BMW tuner Alpina. iPhone SE 2 Potentially Spotted At Regulatory Agency: Launch Imminent?